Can you negate a vehicle? How do ninjas interact with vehicles? I'm a little reluctant to add Smuggler's Copter because I don't have much creatures to activate it beside my canonist. Hope of Ghirapur 's ability don't work if it doesn't deal damage first and it's meant to be sacrificed so I won't have it to pilot the Copter afterward. Thanks for your support though, I really appreciate the feedback ! Sounds like a good plan to me to be honest. 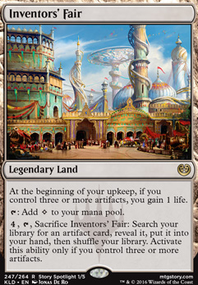 The only 2 mana artifact that I can think of off the top of my heads is Smuggler's Copter . Its insanely good because of the card draw which will help you find your Lodestone Golem . 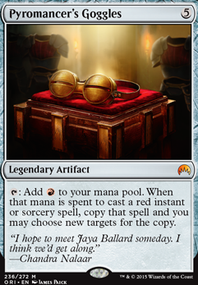 It's also pretty good with your one drop Hope of Ghirapur because you don't have to tap it to use its ability. Other than getting more 2 drops I can't think of any more advice to give you. It looks pretty damn good. Path is a bit awkward as it counteracts Smallpox . I could see cutting Smuggler's Copter . Heart of Kiran could work. 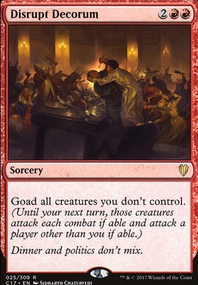 I'd remove Smuggler's Copter , as the only creatures in the deck that can crew it are your four copies of Bloodghast , which want to be getting in on their own. 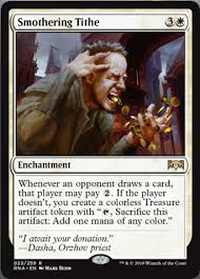 In fact, I'd remove that too, as you don't have any real way of milling it over into your graveyard, so a 2/1 with occasional haste that can't block isn't too good for BB. I'd add Declaration in Stone and Path to Exile in their stead, and maybe even Thraben Inspector . Path should be the priority, however, as it is a true modern staple. 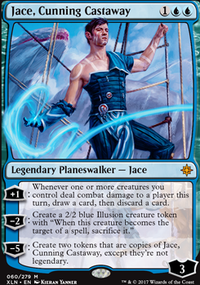 Hey, I'm also playing a $200 Yuriko deck, Shadow Ninjutsu (Budget). A fun interaction is Emerge and Commander Ninjutsu. Elder Deep-Fiend , Distended Mindbender , etc. when either is revealed make all opponents lose 8 life. That's good, but the reason to play them however is emerge since it reduces the casting cost of them. They cost four mana using Yuriko as emerge fodder, sending her back to the Command Zone. 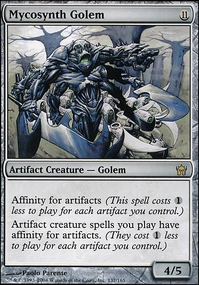 This is a repeatable play as long as Fiend or Mindbender attack and aren't blocked can then Commander Ninjutsu in Yuriko bouncing one of these creatures back to your hand to cast it again using Yuriko again. 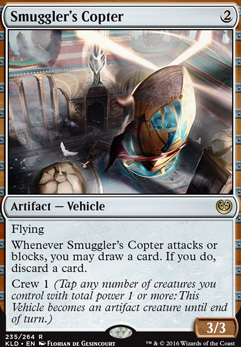 I also really like the interaction of Smuggler's Copter and Library of Leng with a high CMC card in hand. When Copter attacks you draw and discard, it's an attack trigger. When Copter is crewed it becomes a creature who has flying, good with Ninjutsu. With Leng you can choose to discard the card instead to the top of your library. This sets up Yuriko's reveal ability for a high CMC card all before anything is declared not blocked. Leng also has no max hand size which is helpful when you're drawing a lot of cards. With Leng you can choose when you discard to put the card into your graveyard or on top of your library. This is helpful for both Yuriko's reveal ability or getting cards in your grave for Delve. With cards such as Looter il-Kor and Wharf Infiltrator you can stack their combat damage to player whenever triggers and make their draw and discard abilities happen first before Yuriko's whenever reveal trigger. Letting you with Leng setup the top of your library with potential high CMC cards before revealed. Wingcrafter is a good card with Yuriko since it can change who it's Soulbound too. With Ninjutsu, creatures are bouncing back and fourth, synergy with Soulbound especially with other Ninjas. Just being able to Soulbound to Yuriko and give her flying is good enough; letting her attack unblocked more because of flying. Yes, the play you want to make will work. The key thing to know is that declaring blockers is the very first thing that happens at the beginning of the declare blockers step. This means that if anyone wants to do something that could affect the declaration of blockers, they need to do it before the declare blockers step actually starts. Also, the game can only move on to the next step or phase of the turn if all players pass over an empty stack. If your opponent crews Smuggler's Copter before declaring blockers, you will be able to Unmake it before the game moves on to the declare blockers step.